That lovely porky delight just keeps giving! This was using up the last of it.. It made four good tubs.. 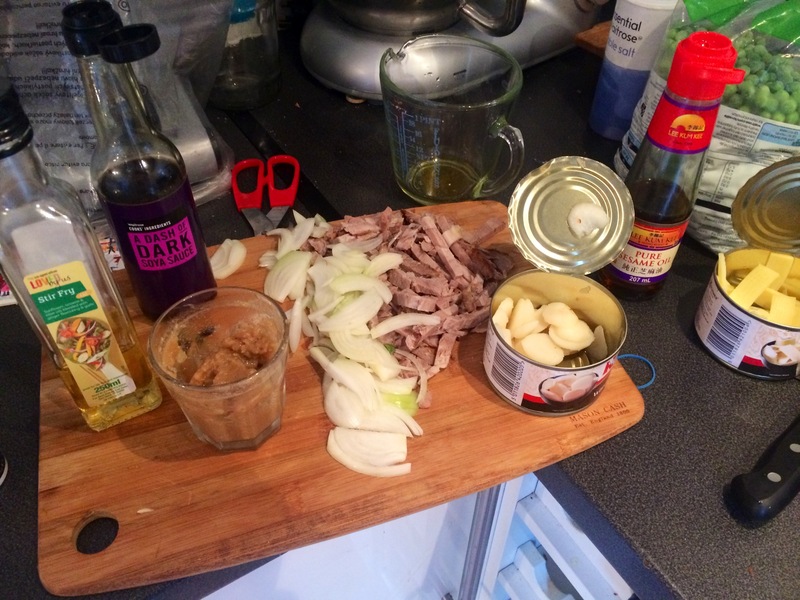 Which meant a pal got to share in the joy of porky noodley goodness..
First chopped up the pork.. Sharing the least attractive pieces with the hounds.. (Who were very happy indeed!).. 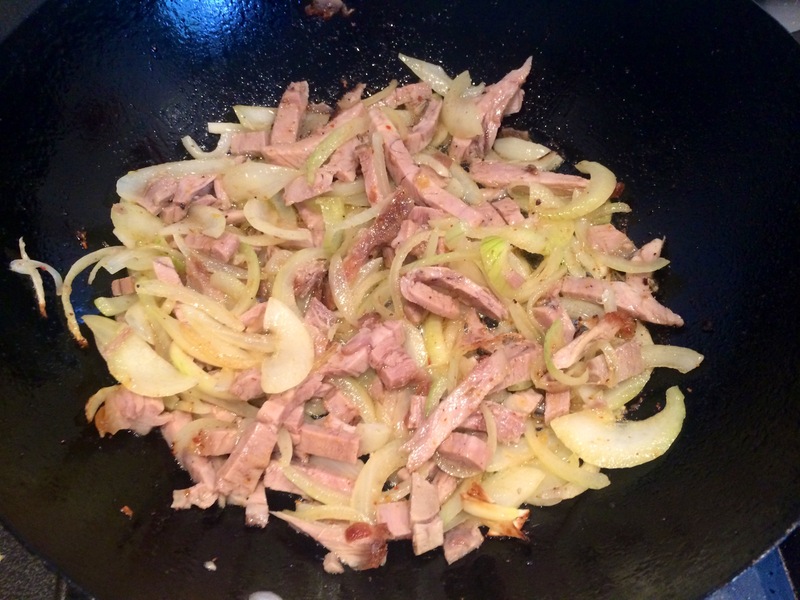 Chopped onion fried in wok oil first.. With the pork..
Then canned bamboo shoots, canned water chestnuts .. Red ticket bean sprouts ( 19 pence per pack! 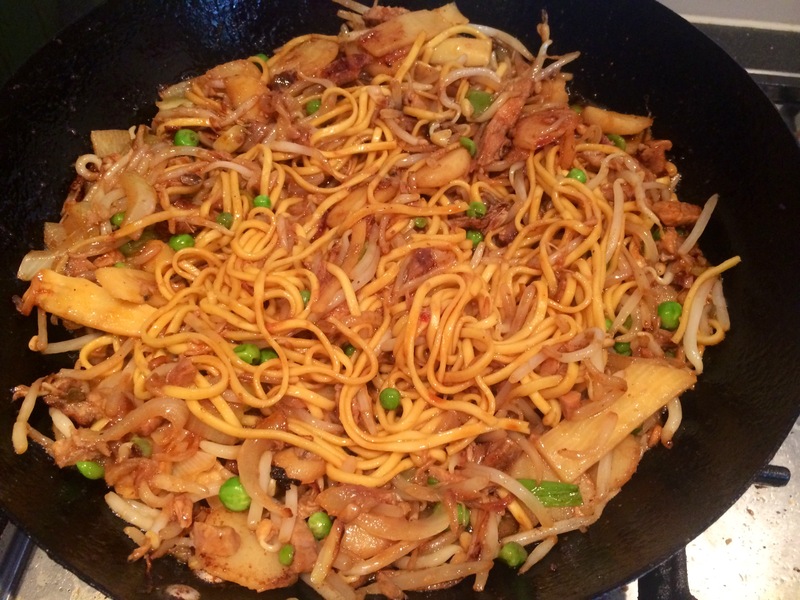 )..
Then all in the wok.. 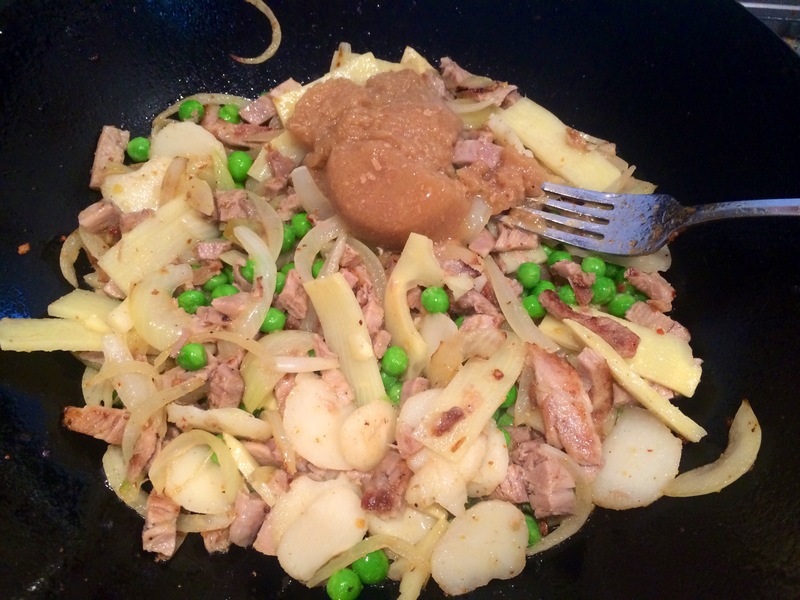 Some frozen peas too, a sprinkle of seasonings, dark soy , a drip drip of sesame oil..
And the gloopy gravy that was also left and gone all jelly like in the fridge .. Ooh that has some flavour to it !! All on full gas now.. Adding a little drop of extra soy sauce..
And of course for that extra authenticness.. 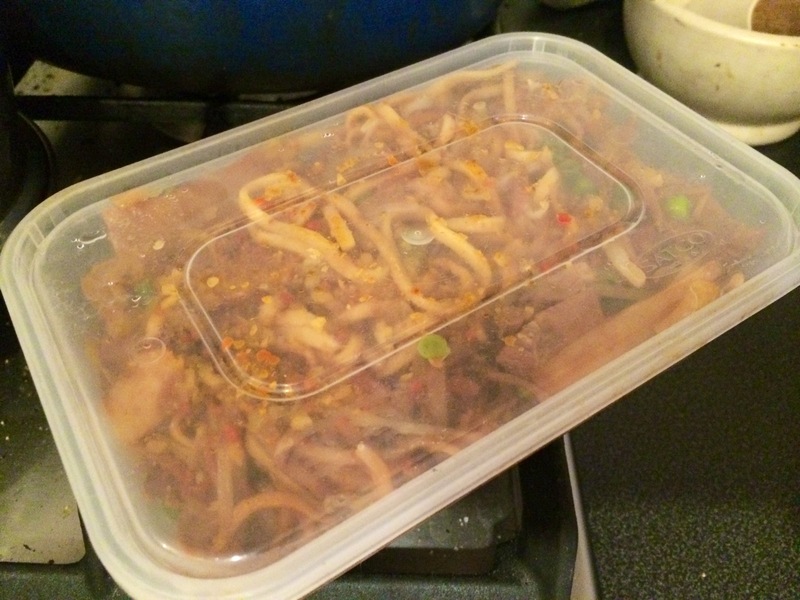 The ubiquitous plastic takeout tub.. 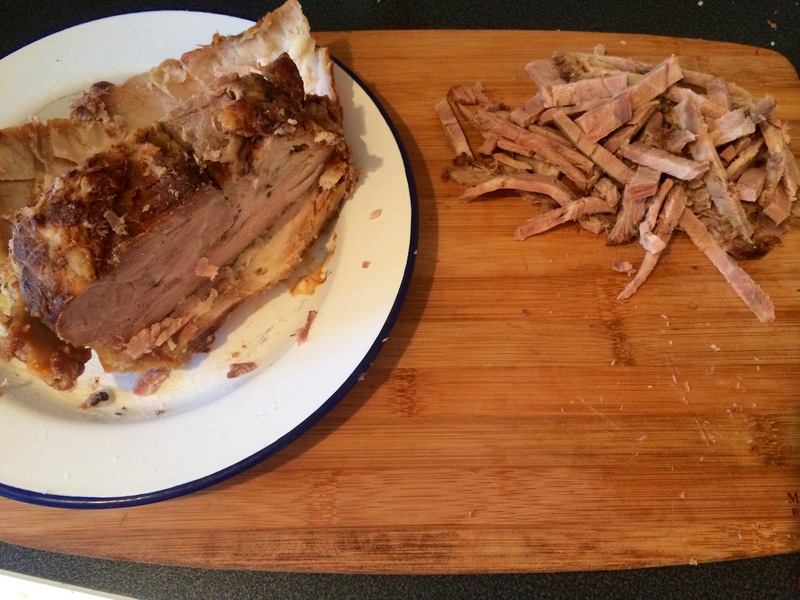 So that’s eight meals made out of that piece of pork.. 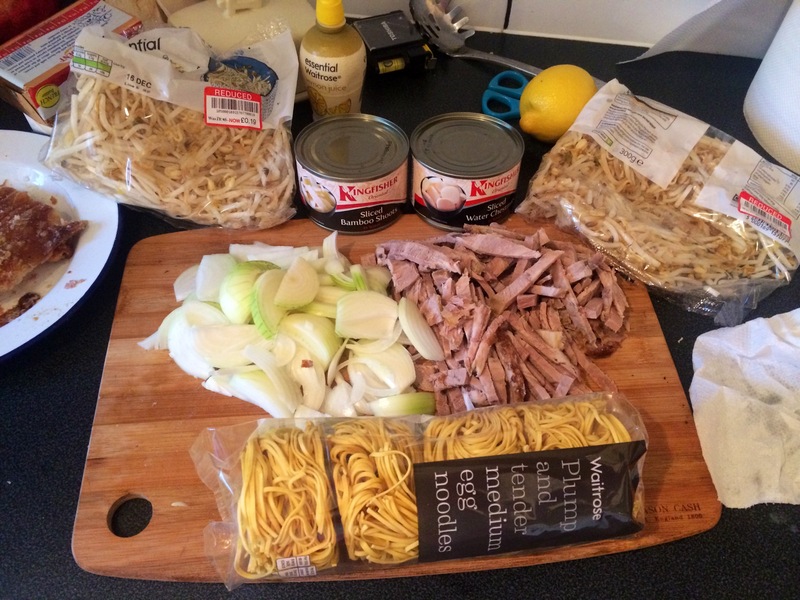 Tags: Chinese, leftover pork, roast pork chow mein, using leftovers, what to do with leftover pork?